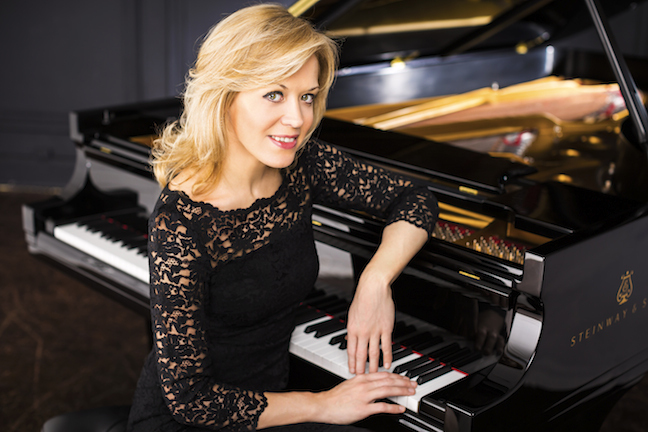 Classical music Q&A: Russian pianist Olga Kern explains the popularity of Russian music. 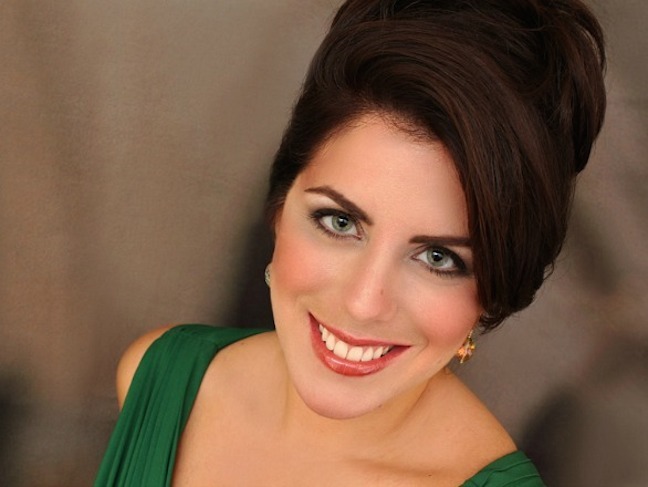 She performs Rachmaninoff this weekend with the Madison Symphony Orchestra. 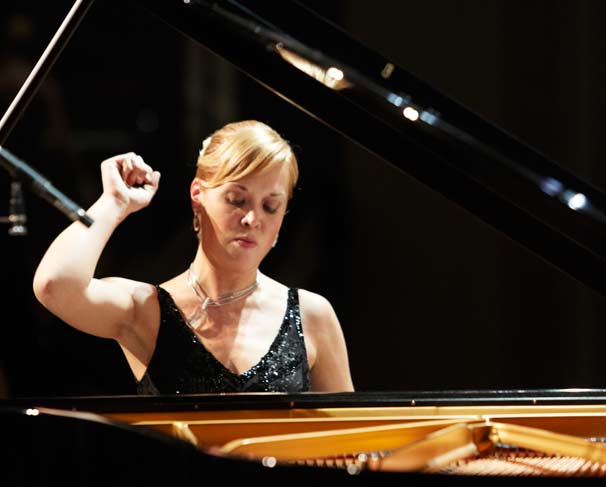 Not only does the Russian pianist Olga Kern (below, in a photo by Chris Lee) play Russian music superbly, she speaks about it just as well, even eloquently and poetically. Witness her remarks below, which serve as an introduction to Kern, who will return to Madison to solo this weekend with the Madison Symphony Orchestra (below) under longtime music director and conductor John DeMain. The all-Russian program includes the Suite from “Swan Lake” by Peter Tchaikovsky; the Piano Concerto No. 1 in F-Sharp Minor by Sergei Rachmaninoff; and the Symphony No. 6 by Dmitri Shostakovich. Performances are in Overture Hall on Friday at 7:30 p.m., Saturday at 8 p.m. and Sunday at 2:30 p.m.
Tickets cost $16-$84 with student rush tickets available. Call the Overture Center box office at (608) 258-4141. Here is link to the MSO’s webpage about the concert, which includes biographical information, program notes and some audiovisual clips. 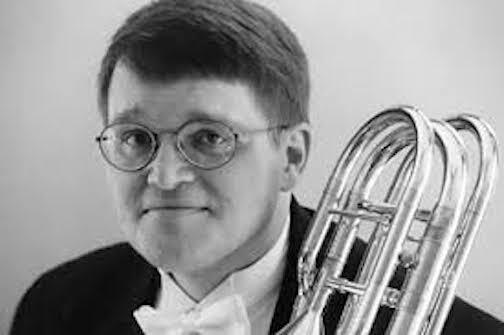 And here is a link to the always comprehensive and informative but accessible program notes by MSO trombonist and UW-Whitewater professor Michael Allsen (below, in a photo by Katrin Talbot). 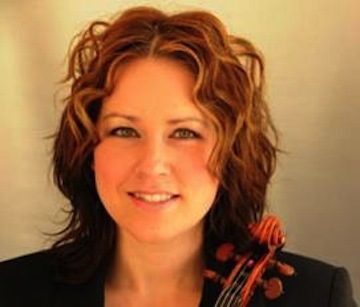 The half-hour pre-concert talk will be given by the accomplished violist Marika Fischer Hoyt (below). 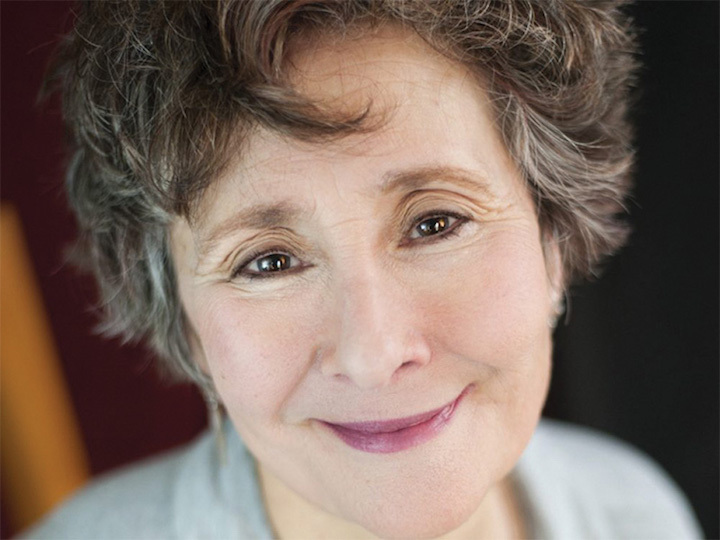 She plays with the MSO, the Madison Bach Musicians and the Ancora String Quartet and who also serves as a weekend host for Wisconsin Public Radio. The FREE talk starts in Overture Hall one hour before the start of the concert. How do you compare the Piano Concerto No. 1 by Sergei Rachmaninoff – which you played to win the Van Cliburn gold medal — to its more popular counterparts such as the Concertos Nos. 2 and 3 and the “Rhapsody on a Theme of Paganini,” which you also perform? What do you like about the work and what should listeners pay attention to? The first concerto is Rachmaninoff’s Opus 1 piece. 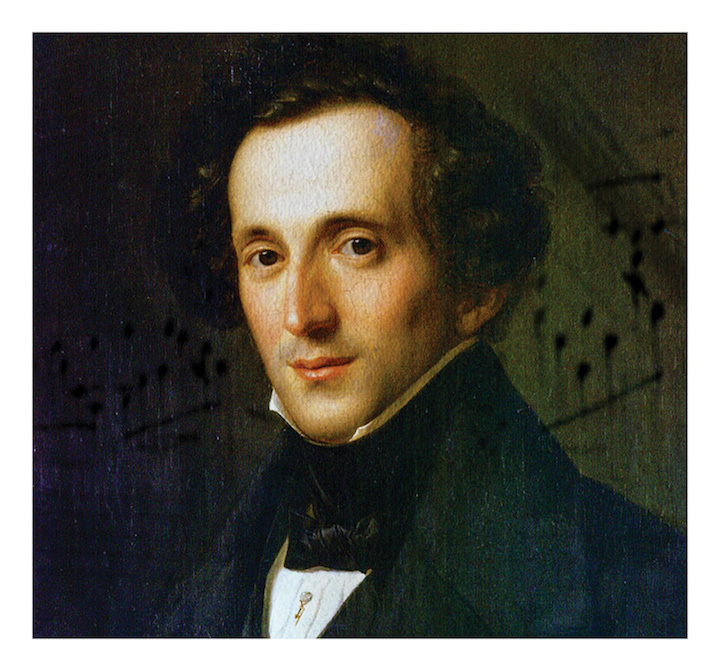 He re-edited it later in life, and in this composition you can hear the fresh approach immediately from the beginning of the first movement. And what an incredibly beautiful second movement it has. He gives the piano an opportunity to start the main melody, which sounds almost like an improvisation in a way. It’s so unique, and at the same time you can hear Rachmaninoff’s special style as a composer in every note and bar. It’s his first composition and it gives incredible platform and base to his other orchestral works, especially to his piano concerti. This is why, I think, this concerto is not performed very often — because it’s not easy. But it’s really a great pleasure and excitement to perform this concerto. It’s such a wonderful jewel of Rachmaninoff’s music! You have performed in Madison several times, both solo recitals and concertos. Do you have anything to say about Madison audiences or the Madison Symphony Orchestra? I love Madison — the city, the people, the concert hall, the audience, the orchestra and of course the Maestro, John DeMain (below, in a photo by Prasad). He is fantastic. I can’t wait to work with him again. It’s always great! I have wonderful friends here and I always come back to this great place with pleasure! I like to work with the Madison Symphony Orchestra — they are so sensitive and responsive, and I always have a great and fun time at the rehearsals with them. In the end, at the concert time, the performances come off so beautifully that it is a joy and a great celebration of music! The Rachmaninoff piano concerto is part of an all-Russian program that also features music by Tchaikovsky (below top) and Shostakovich (below bottom). Are there certain qualities that you identify with Russian music and that explain the music’s appeal to the public? Russian music is full of feeling and is very powerful emotionally. Russian people, even if they are happy, are always sad inside. And this explains why Russian music is so complicated with feelings -– it is in its nature — always a fight between sadness and happiness, between darkness and light, between good and bad. You feel it — whether you listen to it or you perform it. All the composers who will be performed in this concert had very difficult, complicated lives. They went through so much, but at the same time they wanted to be happy. They were romantics in their souls, fighters in their hearts. They wanted to make the world beautiful, no matter what, with their heavenly amazing music! This is why it’s always so exciting and so touching to listen and to perform their incredible works and compositions! Since winning the gold medal at the Van Cliburn International Competition in 2001, you have been very busy. What are your current recording projects and touring plans? Yes, I am very busy, and of course very happy about it. I definitely have lots of exciting plans for the near future, but — if you don’t mind — I will keep it as a secret to keep many wonderful surprises soon for my wonderful fans and friends! Please follow me on my website, www.olgakern.com, my official Facebook page https://www.facebook.com/olgakern?fref=ts, Twitter: @kernolga1, and Instagram @kernolga. 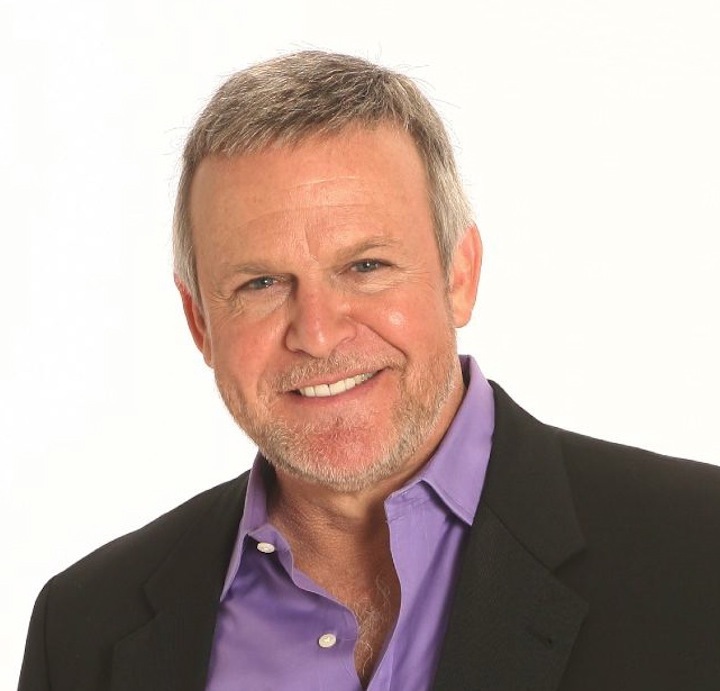 I will be posting all my exciting news and projects and share it with all of you there! I am looking forward very much to coming back to beautiful autumn season in Madison. It’s my favorite season there. Nature is gorgeous and, as always for me, very inspiring! Classical music: The Madison Symphony Orchestra receives a National Endowment for the Arts grant for community outreach and music therapy, and gives its season-closing last performance of “The Gershwin Legacy” this afternoon at 2:30 p.m. in Overture Hall. 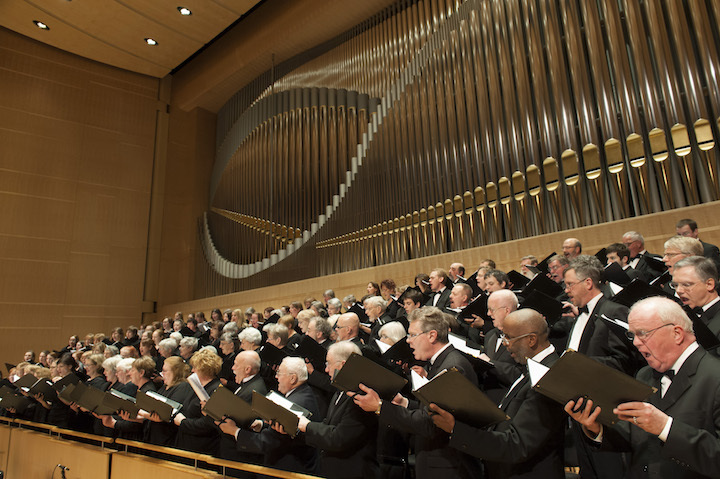 Plus, the University of Wisconsin Masters Singers give a FREE concert Monday night. The federal National Endowment for the Arts (NEA) has awarded the Madison Symphony Orchestra (below) a $15,000 grant to support HeartStringsSM, an internationally-recognized music therapy-informed community engagement program for individuals with special needs. The MSO, under music director John DeMain, is one of 886 nonprofit organizations nationwide that received grants totaling $25.8 million. HeartStrings uses live music to address the physical, emotional, cognitive, and social needs of children and adults with disabilities, long-term illnesses, dementia, and assisted-living needs. 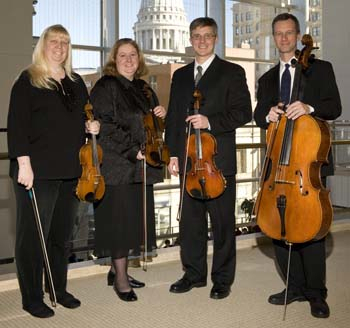 The distinctive program is presented free-of-charge by the MSO’s Rhapsodie Quartet (below, in a photo by Greg Anderson), a professional string quartet comprised of principal MSO musicians: from left, they are violinist Suzanne Beia, violinist Laura Burns, violist Christopher Dozoryst and cellist Karl Lavine. The Quartet leads a series of 9 group music therapy-informed sessions at 10 retirement communities, healthcare facilities, and state institutions across Dane County each year. It reaches nearly 3,200 individuals per season–many of whom would not otherwise have access to the restorative effects of live classical music. Art Works grants support the creation of art that meets the highest standards of excellence, public engagement with diverse and excellent art, lifelong learning in the arts, and the strengthening of communities through the arts. A complete listing of projects recommended for Art Works grant support is available at the NEA website at http://arts.gov/. 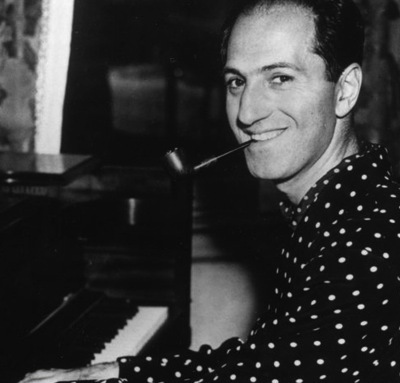 Here is a link to background preview with information about tickets and program notes to the program about the musical legacy of American composer George Gershwin (see the photo of Gershwin further down) with music by Stephen Sondheim, Leonard Bernstein and Harold Arlen. Also, two stars are born at the MSO concert — by which I mean that two local talents were given the opportunity to stand out, and they did: the young pianist Garrick Olsen (below top) and the increasingly familiar soprano Emily Birsan (below bottom), who was trained at the University of Wisconsin-Madiosn School of Music and then the Lyric Opera of Chicago. On this Monday night at 7:30 p.m. in Mills Hall, the University of Wisconsin-Madison School of Music Masters Singers will perform a FREE concert. 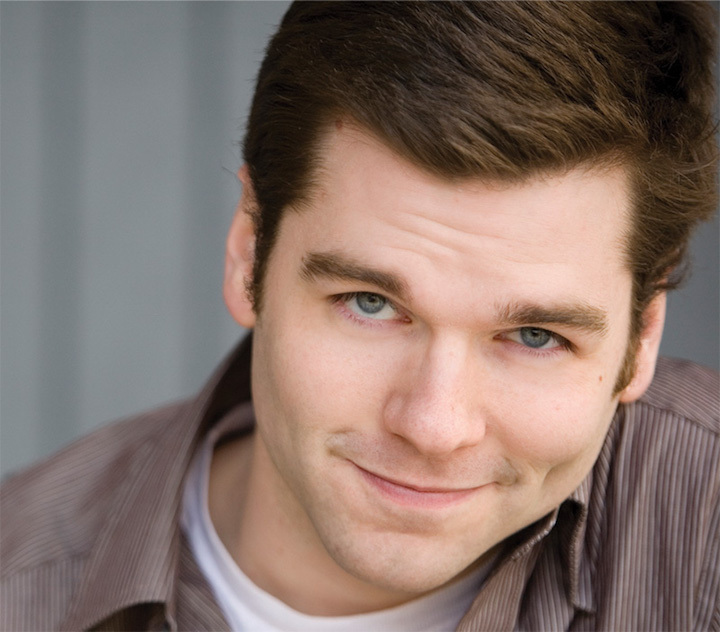 The choir will singer under the direction of Anna Volodarskaya and Adam Kluck (below). Sorry, no word about the program. 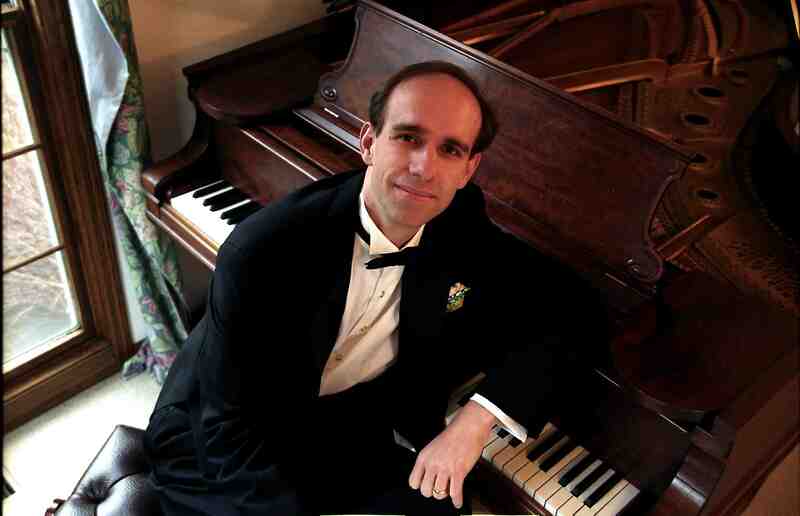 Classical music: The Madison Symphony Orchestra announces its new 2014-15 season. It includes programs from Bach to Hollywood exiles from Hitler and the Nazis, acclaimed soloists and ticket prices with only modest increases. The Madison Symphony Orchestra (below) has just announced its next season for 2014-15. It strikes The Ear as both deeply interesting and tightly cohesive, a good blend of sure-fire hits and unknown or rarely heard repertoire. It also features some fine local talent and some unusual repertoire, though, unlike the past several seasons, no new or contemporary music is included. After all, this is a business with seats to fill, not some theoretical exercise in programming. “You can’t have everything, especially when you are playing only eight concerts,” lamented MSO maestro John DeMain (below, in a photo by Prasad) when he discussed the new season with me. But, DeMain added, the MSO is exploring doing another Chicago Symphony Orchestra “Beyond the Score” format concert — like this season’s presentation of Antonin Dvorak’s “New World” Symphony, which sold out — probably in January and probably with more than one performance, if they can find a sponsor to front the $50,000 cost. Then he will decide on what work out of more than 20 possibilities would be right. Concerts take place in Overture Hall in the Overture Center on Friday nights at 7:30 p.m.; Saturday nights at 8 p.m.; and Sunday afternoons at 2:30 p.m. The deadline for subscriptions renewals and keeping your current seat is May 8. Here is the official press release that unveils the new season. 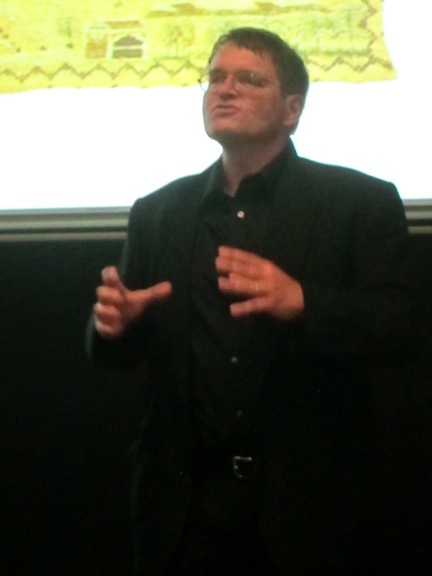 The Ear also talked at length one-on-one with MSO music director and conductor John DeMain. Since the announcement is long enough for one post, DeMain’s insightful comments will appear a bit later in another post. 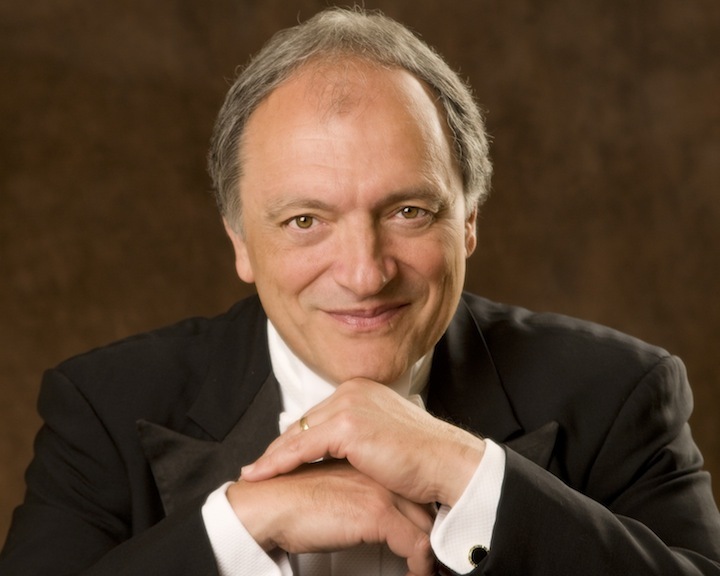 Maestro John DeMain and the Madison Symphony Orchestra (MSO) will deliver a diverse and exciting season of composers and guest artists for 2014-2015. Beginning with a September program that focuses on the highly-talented musicians in the orchestra, DeMain will lead the audience through an exhilarating variety of themes and cultures throughout the season. Russia, Scandinavia, and Golden-Age Hollywood are just a few of the sound worlds the MSO will explore, while monumental works central to the orchestra, such as Beethoven’s Ninth Symphony, will anchor the year. 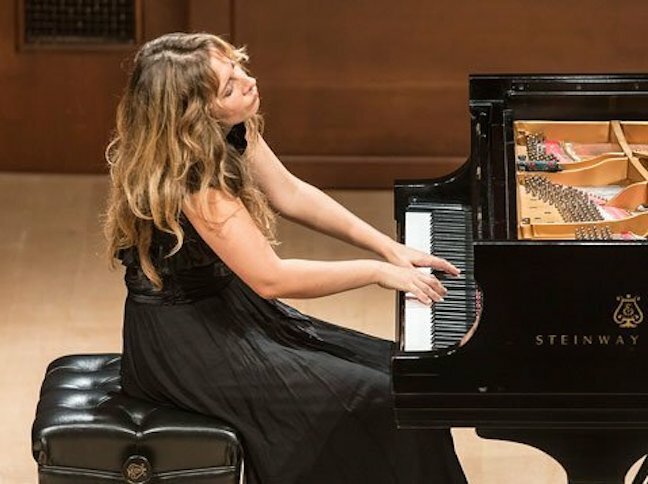 A world-class roster of guest artists has been invited to Madison for the season’s performances, including violinist Sarah Chang, pianist Olga Kern, violinist Daniel Hope, pianist Ingrid Fliter and University of Wisconsin-Madison School of Music pianist Christopher Taylor. German composer Richard Strauss’ Also sprach Zarathustra was once among his least performed works, but it is now firmly established as standard orchestral repertoire. The trumpet theme and thunderous timpani entrance (heard in Stanley Kubrick’s epic film “2001: A Space Odyssey”) are unmistakable. Swiss composer Frank Martin’s Concerto for Seven Winds was written in 1949. It features seven solo instruments, exploring differences in sonority and expression. The virtuosic and conversational writing in these piece results in a playful, sportive character. French composer Camille Saint-Saëns’ Symphony No. 3, known also as the “Organ” Symphony, draws on elements of both the conventional symphony and the tone poem. Formally unusual in its own time, yet popular from its conception, the work features virtuosic piano and organ passages and a masterful display of the vast colors possible in the symphony orchestra. The Suite from “Swan Lake” tells the magical tale of a young prince enchanted by a swan maiden under the moonlight. Peter Tchaikovsky’s charming work utilizes haunting melodies, captivating waltzes, Russian and Hungarian folk themes, and a Spanish dance. Sergei Rachmaninoff’s Concerto No. 1 for Piano displays a youthful freshness and an assertive, extroverted personality. Indeed, the composer began this work when he was 17! For audience members who delight in keyboard fireworks, this piece will thrill. Symphony No. 6 by Dmitri Shostakovich, written as war clouds were gathering in Russia, was quite a contrast to Symphony No. 5. 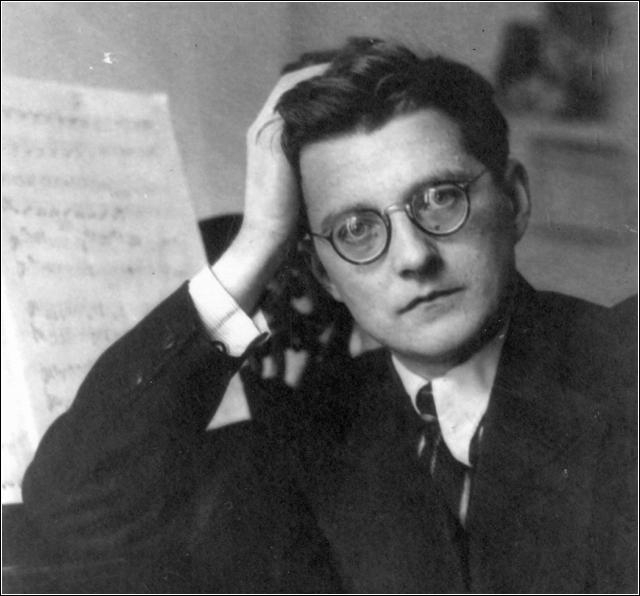 Lopsided movement lengths, a lack of obvious theme, and characters of anxiety and desolation reflect the intriguing political situation of the time, as well as Shostakovich’s own remarkably wide emotional compass. Over the course of his long career, Edvard Grieg composed 66 Lyric pieces for piano, strongly rooted in the songs, dances, mythology, and spirit of Norway. He selected four of these fragrant and diverse miniatures for an orchestral suite, premiered in 1906. “…For…10 years it was my dearest wish to become a great virtuoso.” wrote Finnish composer Jean Sibelius in his diary. Unfortunately the composer never reached great proficiency on the instrument, and his Concerto for Violin, awash in Nordic textures, expresses a melancholic farewell to that childhood dream. As a philosophical guideline to his often raging Symphony No. 4, Danish composer Carl Nielsen said, “Music is life, and, like life, inextinguishable”. Four interlinked movements of frequently agitated energy lead to a climax of ultimate triumph and grand 19th century symphonic tradition. With John DeMain, conductor; Alyson Cambridge (below), soprano; Harold Meers, tenor; the Madison Symphony Chorus, Beverly Taylor, director; the Madison Youth Choirs, Michael Ross, artistic director; and the Mt. 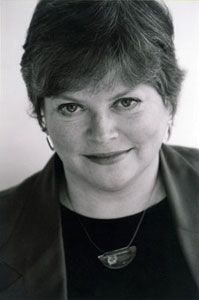 Zion Gospel Choir, Leotha Stanley, director. John DeMain and the Madison Symphony don their Santa hats for this signature Christmas celebration. 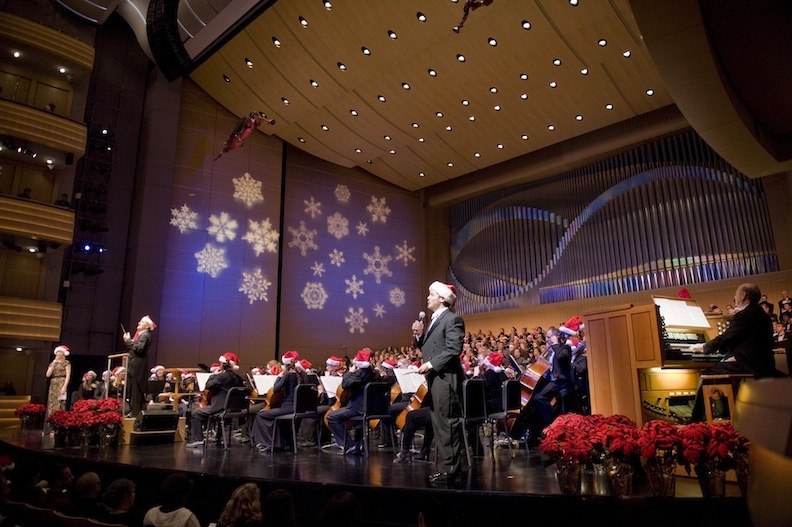 This concert is filled with traditions, from caroling in the lobby with the Madison Symphony Chorus to vocal performances by hundreds of members of Madison’s musical community. Christmas classics are interwoven with enchanting new holiday music. The culminating sing-along is Madison’s unofficial start of the holiday season! Frank Bridge, one of Benjamin Britten’s earliest composition teachers, was certainly responsible for the surpassing clarity, individuality, and discipline in Britten’s most cherished works. Britten’s “Variations” on Bridge’s theme range from passionate to playful, capturing the heartfelt musical admiration of a pupil for his teacher. From the moment he arrived in Paris at age 21, Frederic Chopin drew the admiration of both the public and esteemed critics, alike. Concerto No. 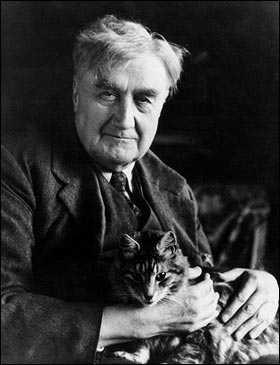 2 was in fact his first concerto, displaying the composer’s prolific improvisatory and imaginative style. In composing Symphony No. 4, Robert Schumann departed significantly from the standard Classical form he previously employed, connecting all four movements with recurring musical ideas–a novel proposition at the time. This unique concert features the works of great classical composers before they fled Nazi persecution and also showcases their later brilliant contributions to Hollywood film scores. 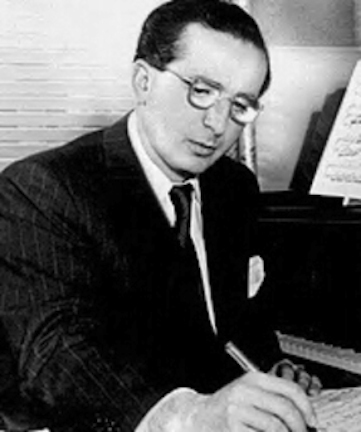 Franz Waxman (below) is responsible for a long list of memorable Hollywood scores, including “The Bride of Frankenstein,” “Dr. Jekyll and Mr. Hyde” and “Rebecca.” His Sinfonietta, written for only strings and timpani, is comprised of three wildly different movements. Waxman also composed the soundtrack for the 1962 epic, “Taras Bulba.” “Ride of the Cossacks” is the exhilarating theme to which Taras and his army gallop to Dubno. According to Miklos Rózsa (below), his “Theme” was conceived in the manner of a Hungarian folk song, then treated in variations of contrasting feeling, and summarized in a wild and swift finale. The 1934 work earned him his first international success. 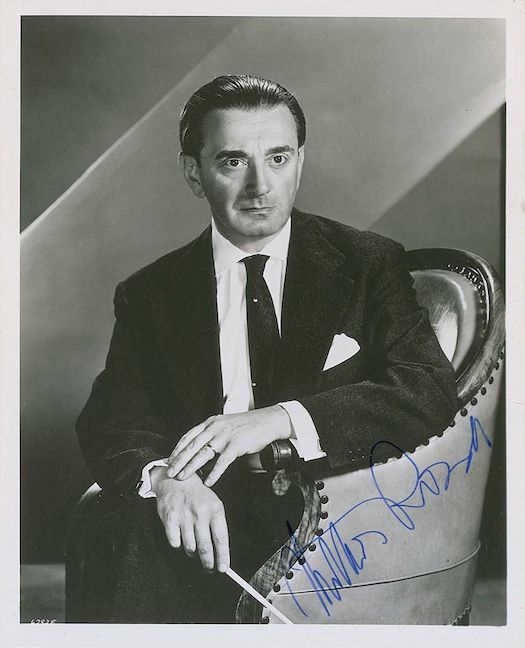 By the late 1940’s Rózsa was an Oscar-winning, film score composer, and joined the staff of Metro-Goldwyn-Meyer. His thrilling score for the 1959 film “Ben Hur” is one of his lasting achievements, earning him his third and final Oscar. The Concerto for Violin, written by Erich Wolfgang Korngold (bel0w top) in 1945, perfectly blends the two musical lives of the composer, unapologetic in both its rigorous craftsmanship and its Hollywood charm. 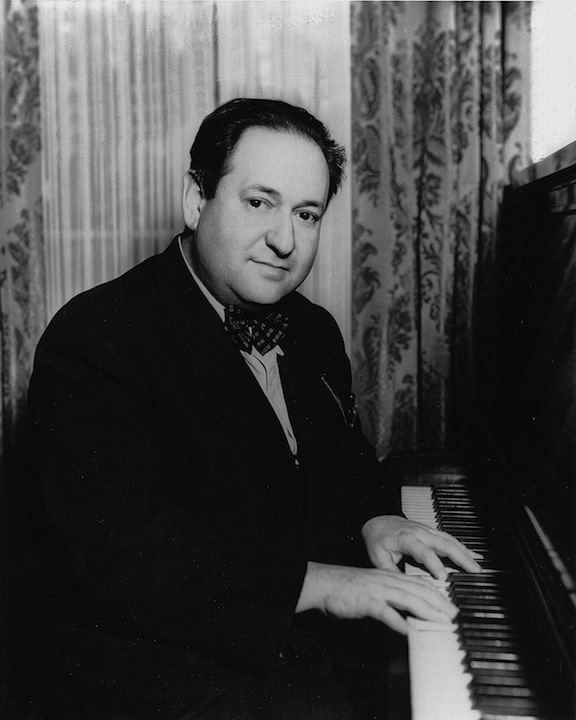 “Captain Blood” was a milestone for Korngold, as it was his first fully symphonic movie score. Produced in only three weeks, the music evidences his most professional and imaginative effort. Concerto No. 4 by Johann Sebastian Bach is part of a set of six concertos, dated to 1738. The piece was originally written for harpsichord and is ripe with movement and ornamentation. Bach’s concertos laid a crucial formal and harmonic groundwork for centuries of composition to follow. Franz Liszt’s Concerto No. 1 for Piano is more than a century-long leap forward in time. Liszt’s Romantic genius is unabashedly on display, with thick orchestration, cadenzas that range from delicate to thundering, and lush harmonies. Anton Bruckner was a country man, transplanted into bustling cosmopolitan Vienna, and he and his music were unlikely successes with audiences and critics. His music was said to “compel the element of the divine into our human world”. “Ode to Joy” with John DeMain, conductor; concertmaster Naha Greenholtz (below top), violin; Melody Moore, soprano; Gwendolyn Brown, contralto; Eric Barry, tenor; Morris Robinson (below bottom), bass; and the Madison Symphony Chorus, Beverly Taylor, director. Leonard Bernstein’s “Serenade” for violin and orchestra, resulted from a rereading of Plato’s charming dialogue, “The Symposium.” The music dances through a series of inter-related “speakers” at a banquet (Phaedrus, Aristophanes, Erixymachus, Agathon, and Socrates), praising love. Single tickets for individual concerts have increased slightly and are $16 to $84 each, and go on sale Aug. 16. They are available at www.madisonsymphony.org/singletickets and through the Overture Center Box Office at 201 State Street or call the Box Office at (608) 258-4141. New subscribers can receive savings up to 50%. For more information and to subscribe, visit www.madisonsymphony.org/newsub or call (608) 257-3734. The Madison Symphony Orchestra engages audiences of all ages and backgrounds in live classical music through a full season of concerts with established and emerging soloists of international renown, an organ series that includes free concerts, and widely respected education and community engagement programs. Find more information at www.madisonsymphony.org. 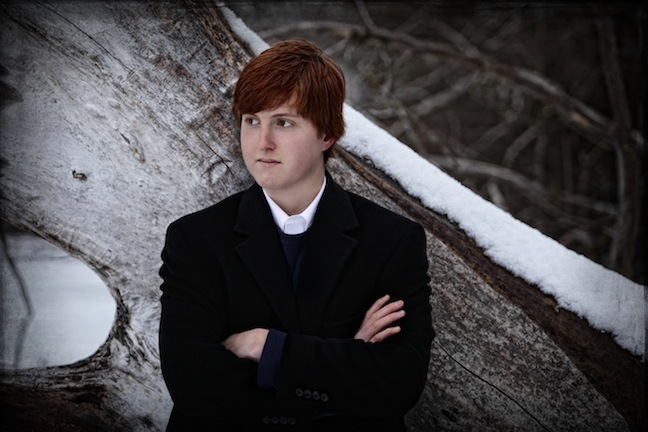 Classical music: After Spring Break, the music season’s endgame starts with the season finale of the Madison Symphony Orchestra, which is featuring an unusual but appealing program. 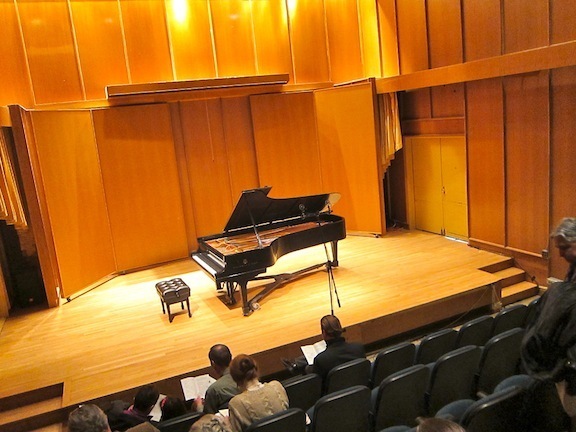 Plus, a short concert of student compositions will be featured tonight at the UW-Madison. Spring Break is over – it ended Monday – and that means that there are about six more weeks left to the current academic year and the second semester. And thus to the current non-summer concert season. Perhaps the first group to close out the season is the Madison Symphony Orchestra under its longtime music director and conductor John DeMain (below in a photo by Greg Anderson). 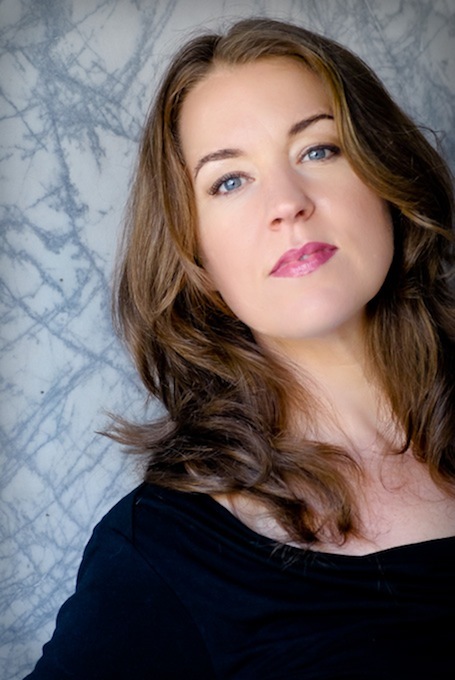 The MSO gives three performances of its season finale this weekend. Now, I have to be honest. The program is one of the more unusual, that The Ear has ever seen. But that is precisely what so intrigues me about it and why the concert is so appealing to me. This is definitely NOT business as usual. But as usual, performances will be given in Overture Hall on Friday night at 7:3o p.m., Saturday night at 8 p.m. and Sunday afternoon at 2:30 p.m. Tickets are $13.50-$78.50 and can be reserved by calling the Overture Center box office at (608) 258-4141. So what is it that has struck me as so unusual about this program — which includes works from the 18th, 19th and 20th centuries — ever since I first heard about it a year ago, when the current season was unveiled? Well, I understand programming Mendelssohn’s Violin Concerto. It is a great spring-like popular work, a lyrical work with soaring upbeat and song-like melodies, even though it was composed in a minor key (E minor). 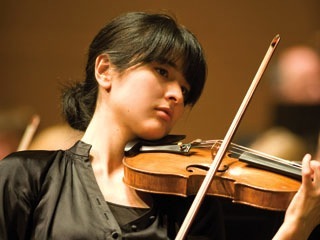 And it is a chance to showcase the formidable talents of concertmaster Naha Greenholtz (below), who is now finishing up her second season with the MSO and who has virtuosic talents of her own to show off in a solo appearance. 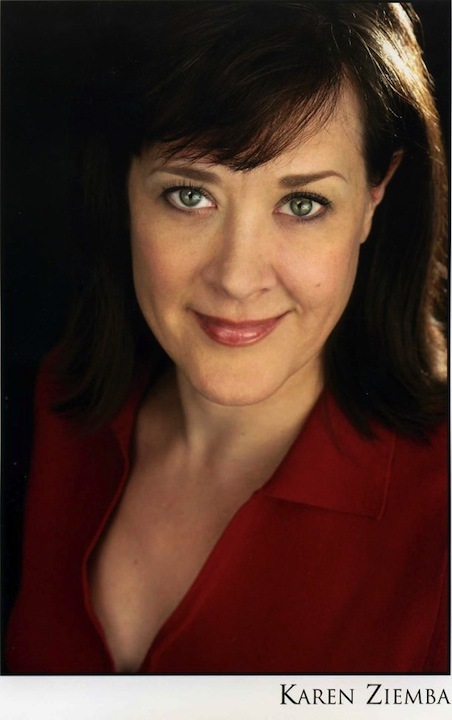 And I also understand programming the Madison Symphony Orchestra Chorus, which is directed and prepared by Beverly Taylor (below, in a photo by Katrin Talbot), who is the director of the Choral Department at the UW-Madison as well as the MSO’s assistant conductor. In fact, the MSO Chorus is often used to end the season with a bang, putting a big group on-stage to make a big sound. But the pieces it will sing for this concert seem like an unexpected mix. First there are excerpts from George Frideric Handel’s oratorio “Solomon.” The orchestra will play “The Arrival of the Queen of Sheba,” an effective curtain-raiser that is often played by itself; and then there will be three choruses. Now, my concerns are definitely NOT those of a purist. In fact I am happy to see the MSO doing Baroque music. I have long wanted the MSO to do more Bach and Handel, as well as Haydn, Mozart and Schubert from the Classical-era. And I am not along in wishing for Big Bach, given that the New York Philharmonic has just staged a festival of “Bach Variations,” helping to reclaim him from the early music and period instrument ensembles that have – it is absolutely true – changed forever the way that Bach and other early composers are performed and heard. But except for chronology, the Handel oratorio, great as it is, does seem an odd choice for an opening work. Then the orchestra and chorus will perform Rachmaninoff’s “The Bells,” which DeMain says he heard recently and was quite taken with. 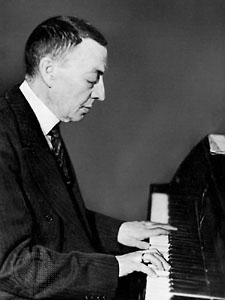 I trust his judgment, though I and many others know Sergei Rachmaninoff (below) much more through his solo piano works, his piano concertos, his symphonies and his chamber and vocal music. I also know the “Isle of the Dead” (which was used in the Frank Langella movie version of “Dracula”). 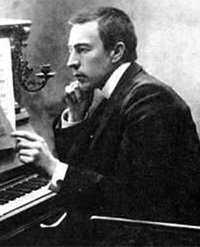 Rachmaninoff had a thing with bells, including the popular “Bells of Moscow” Prelude in C-sharp minor and several other preludes. But I have also heard DeMain conduct Rachmaninoff’s “Symphonic Dances” very effectively, and I have heard Beverly Taylor lead the UW Choral Union in Rachmaninoff’s lengthy a cappella work “All-Night Vigil.” So I give the MSO the benefit of the doubt and look forward to the new and the unexpected. Well, it is aptly named since it is rarely performed or recorded. 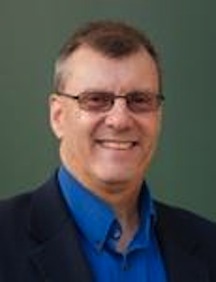 But again, I defer to the taste of John DeMain, who has time and again shown that he knows how to find and program unusual works that are, in the end, make for a compelling program and total experience. What do you think of the program? Do you have light to shed on the various works? 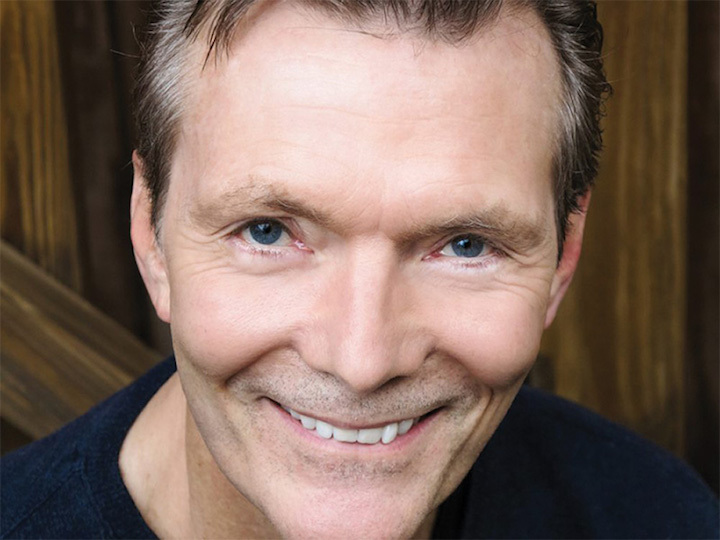 Classical music: The Madison Symphony Orchestra announces its new season, which celebrates the 20th year of maestro John DeMain’s tenure with a mix of the new and the predictable. Tickets will increase 5 percent. 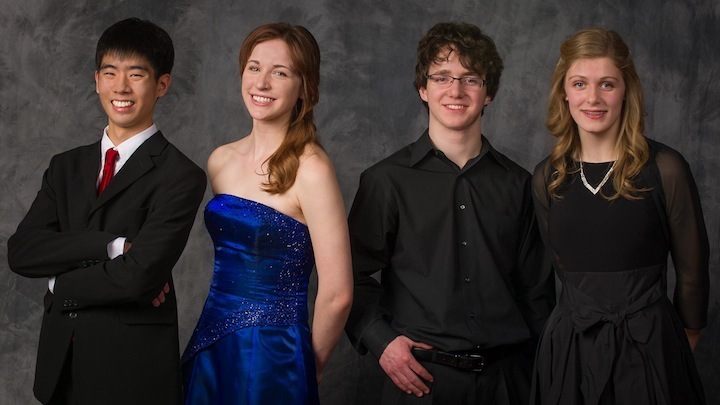 ALERT: In case you haven’t already heard the news, Middleton High School pianist Christopher Eom (below, on the far left) won the Madison Symphony Orchestra’s “Final Forte” part of the Bolz Young Artists Competition on Thursday night when he performed the first movement of Saint-Saens’ Piano Concerto No. 2. Here is a link to the MSO website with other information, including biographies of all the four participants and when the live airing by Wisconsin Public Radio and Wisconsin Public Television will be re-broadcast. 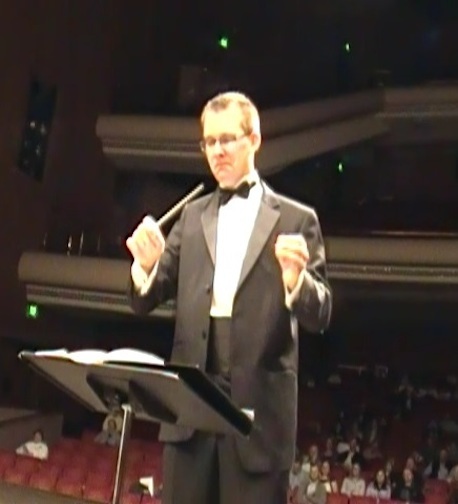 On Friday afternoon, the Madison Symphony Orchestra announced its next season for 2013-14. As in the past five season, it is holding its subscription concerts to eight, with a ninth one-performance only special event added. 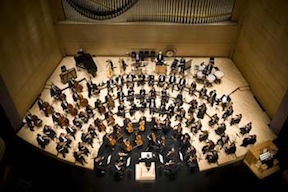 Difficult economic times forced the MSO to reduce its season several years ago. Tickets will also increase 5 percent, according to Executive Director Rick Mackie. 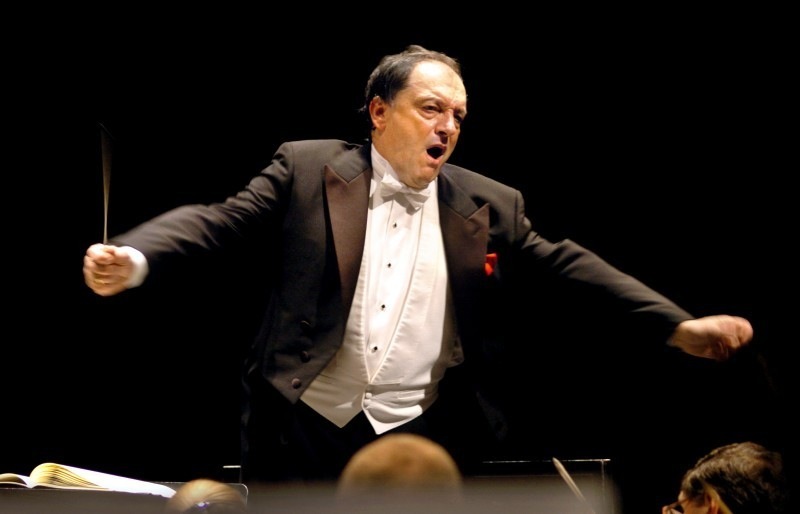 2013-24 is a special season because it marks the 20th anniversary of the tenure of music director and conductor John DeMain, who came to Madison from the Houston Grand Opera, where he was the artistic director. DeMain (below in a photo by Prasad) also is the music director of the Madison Opera, which will soon announce its new season. To mark the occasion, an MSO press release says, DeMain has put together a season designed to highlight the growth of the ensemble during his tenure, which will be showcased prominently in September by opening with an all-orchestral season premiere. 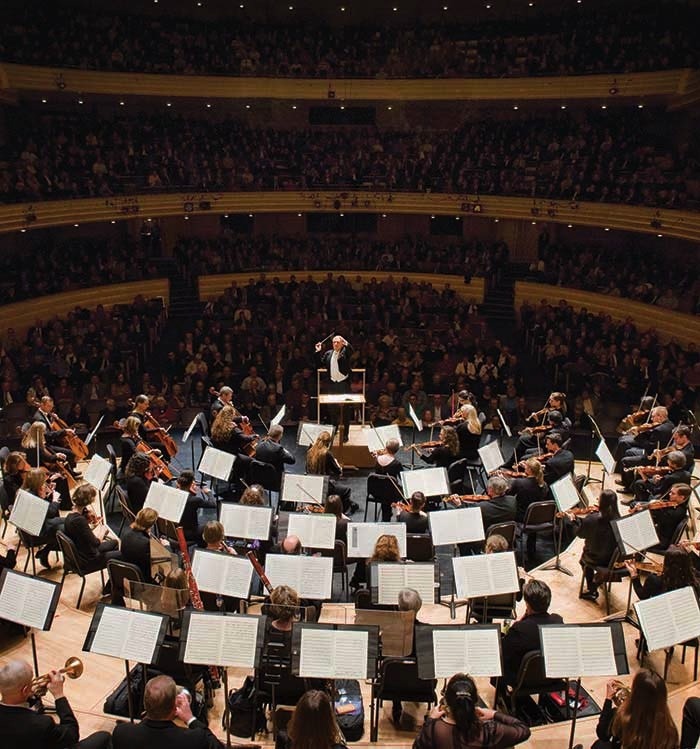 Regular MSO concerts take place in the Overture Center’s Overture Hall (below) on Fridays at 7:30 p.m.; Saturdays at 8 p.m.; and Sunday afternoon at 2:30 p.m. Throughout the season, DeMain has programmed works by composers integral to his relationship with the orchestra, including Copland, Beethoven, Gershwin, Mozart, Brahms, Dvorak, Rachmaninoff and Strauss. A world-class roster of guest artists — their desire to return to Madison is more proof, says DeMain, of the high caliber of the MSO’s ensemble playing — has been invited to Madison for the season’s performances, including pianist Yefim Bronfman, violinist Augustin Hadelich, organist Nathan Laube, and Tony Award-winning singer Karen Ziemba. 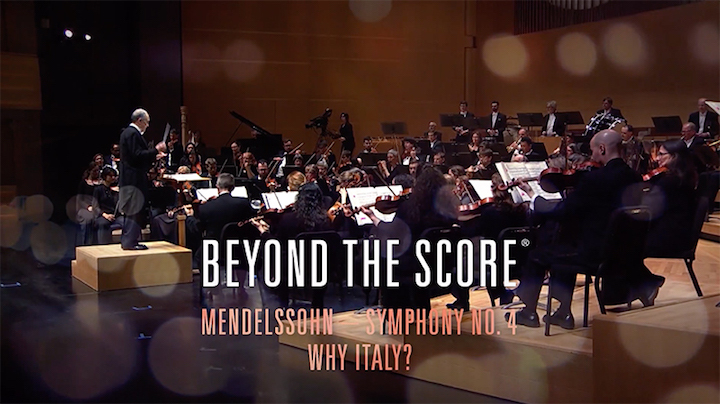 New this season is a one-performance only presentation of Beyond the Score® in January, featuring Symphony No. 9 (“New World”) in a multimedia context that illuminates the stories behind the music. The orchestra’s website has already been updated about the new season. Details about purchasing tickets and the concert season­­–including music previews and guest artist biographies–can be found on the MSO website at www.madisonsymphony.org. 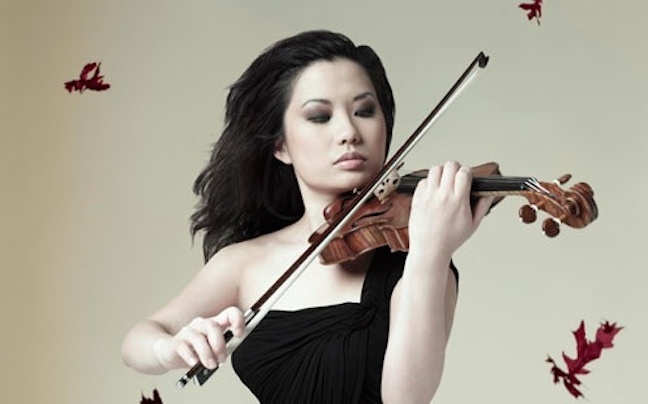 The season begins on September 27, 28 and 29, 2013 with a program of orchestral favorites spotlighting the musicians of the Madison Symphony Orchestra. The American harmonies of Aaron Copland’s “Appalachian Spring” open the concert, followed by Richard Wagner’s majestic and moving Prelude and Liebestod from “Tristan und Isolde.” Rimsky-Korsakov’s epic “Scheherazade” concludes this program of touchstone works that demonstrate the full expressive range of orchestral music and highlight MSO concertmaster Naha Greenholtz (below). 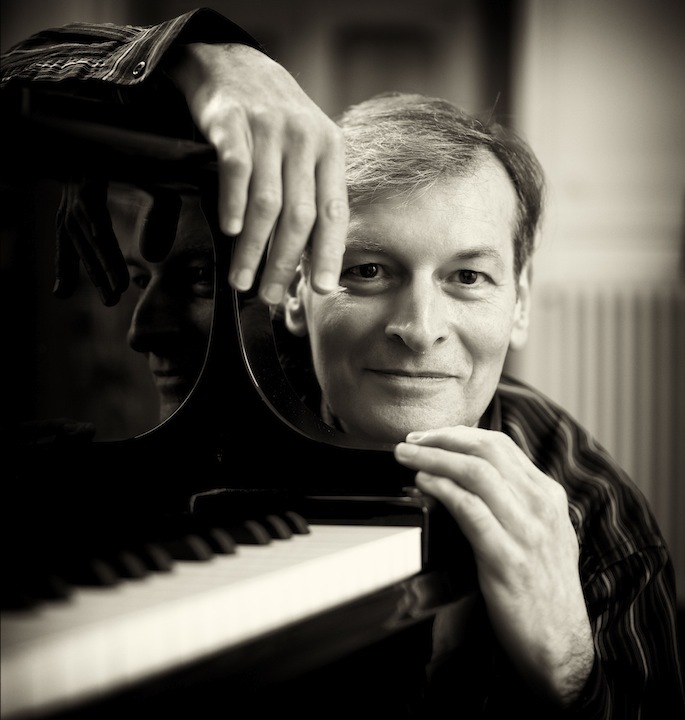 On October 18, 19 and 20, 2013 French pianist Philippe Bianconi (below, in a photo by Bernard Martinez) returns to the MSO for a performance of Brahms’ Piano Concerto No. 2. Of the piece, Bianconi says, “What I really love is that it’s like playing in a symphony. Being immersed in the orchestral texture is always an exhilarating experience.” Two 20th century works round out the program: Benjamin Britten’s “Variations and Fugue on a Theme of Purcell” (better known as The Young Person’s Guide to the Orchestra), recently featured prominently in Wes Anderson’s Academy Award-nominated film “Moonrise Kingdom,” and Debussy’s “La Mer,” a musical seascape sure to transport audiences. 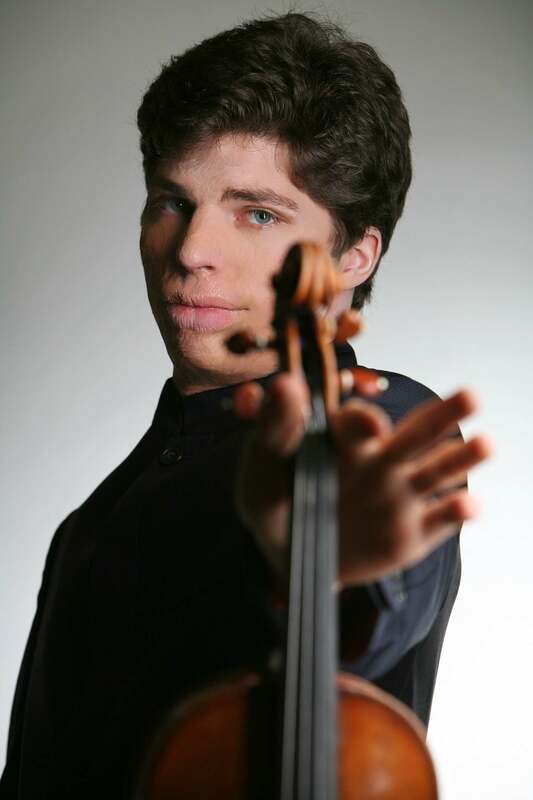 The program for November 15, 16, and 17, 2013 features violinist Augustin Hadelich (below) — one of The Ear’s favorite young fiddlers — in Lalo’s “Symphonie Espagnole.” Hailed as “one of the most distinctive violinists of his generation” by The New York Times, Hadelich describes the Lalo as “emotional and hot-blooded” and is excited to help listeners “rediscover what a great piece it is” as he makes his second appearance with the orchestra. Pulitzer Prize-winning composer Aaron Jay Kernis’ “Too Hot Toccata” opens the program and the lush Romanticism of Rachmaninoff is on full display in his Symphony No. 2. 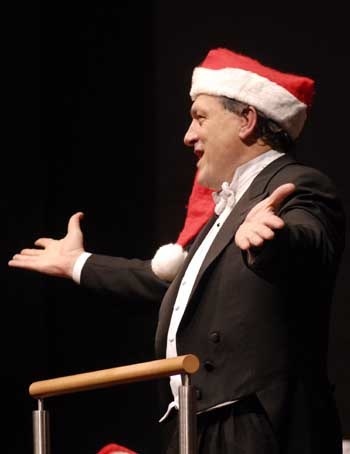 Conductor DeMain and the orchestra don their Santa hats for the 20th anniversary of A Madison Symphony Christmas (below top, in a photo by Greg Anderson) on December 6, 7, and 8, 2013. A beloved Madison tradition, this concert brings together the Madison Symphony Chorus, Madison Youth Choirs and the Mt. Zion Gospel Choir with outstanding guest vocalists. This season, soprano Melody Moore (below top) and bass Nathan Stark (below bottom, in a photo by Paul Sarouchman) take the stage to help mark Madison’s unofficial start of the holiday season. On February 14, 15, and 16, 2014 the young Norwegian trumpet virtuoso Tine Thing Helseth (below, in a photo by Colin Bell of EMI Classics) makes her MSO debut in performances of two contrasting concertos: Hadyn’s Concerto for Trumpet, and Arutiunian’s Concerto for Trumpet and Orchestra. The concertos are framed by three orchestral gems: Sibelius’ symphonic poem “Finlandia,” the “Doctor Atomic” Symphony from John Adams’ new American opera of the same name, and Strauss’ Suite from “Der Rosenkavalier,” which DeMain, known as an opera conductor, says is his favorite opera. Beethoven is at the heart of the orchestral experience and no anniversary celebration would be complete without his music. 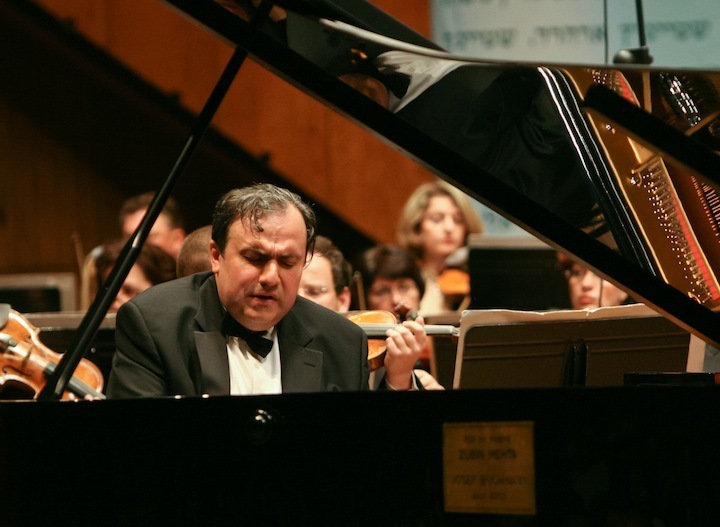 Concerts on March 7, 8, and 9, 2014, offer an ALL-BEETHOVEN program and features one of the world’s great pianists, Yefim Bronfman (below, in a photo by Odad Antman), in not one, but two concertos by Beethoven: his rarely played Piano Concerto No. 2 (actually composed before the first) and Piano Concerto No. 5 (“Emperor”). The Beethoven bonanza continues throughout the program, with the orchestra performing his Symphony No. 1 and Overture to “The Creatures of Prometheus” — from the great composer’s only ballet! April 4, 5, and 6, 2014 brings together six guest artists for spectacular performances of Jongen’s “Symphonie Concertante” and Mozart’s Requiem led by acclaimed guest conductor Julian Wachner, praised as a “major talent” by The Boston Globe. 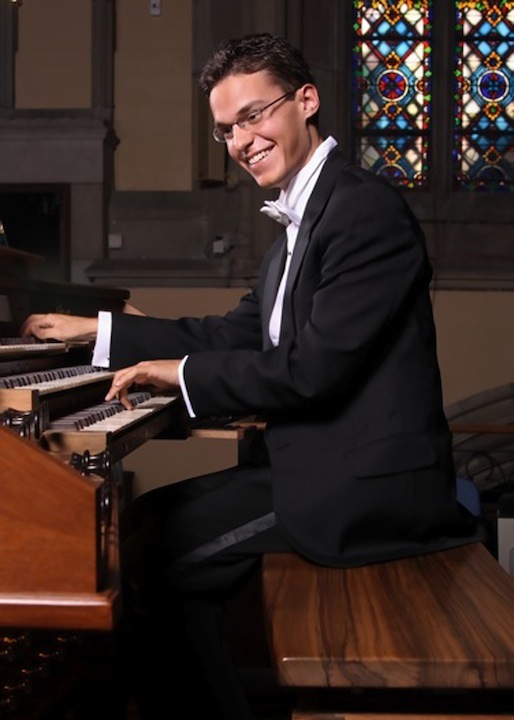 Organist Nathan Laube (below top) is featured in the Jongen, a grand, dramatic concerto heard previously in Madison at the dedication of the Overture Concert Organ. UW-Madison trained soprano Emily Birsan (below bottom), mezzo-soprano Daniela Mack, tenor Wesley Rogers, and bass Liam Moran join the Madison Symphony Chorus for Mozart’s Requiem, his final composition and one of his most compelling to this day. 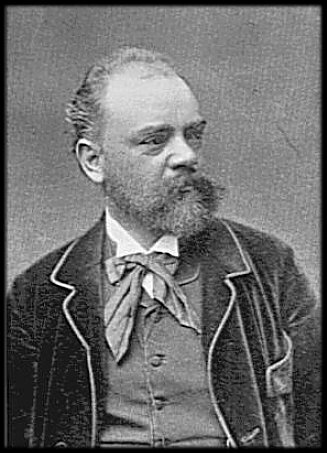 Dvorak’s Slavonic Dance No. 1 opens the program. 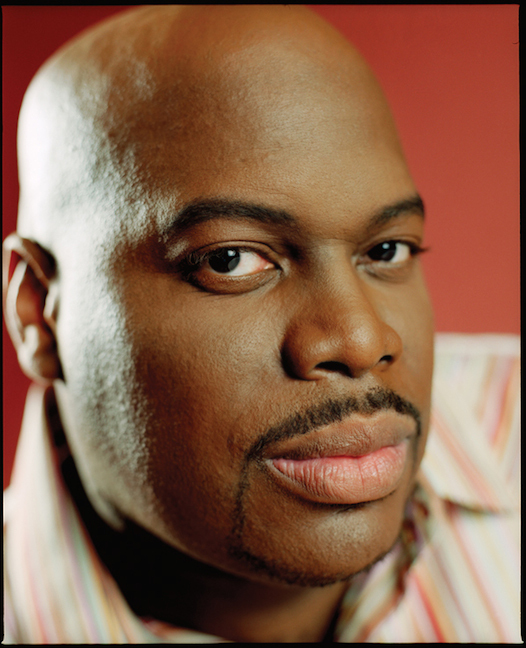 Concluding the season on May 2, 3, and 4, 2014, is a concert event close to Maestro DeMain’s heart: “The Gershwin Legacy.” George Gershwin left an indelible imprint on American music, says DeMain who is known for his award-winning performances and Grammy-winning recording of “Porgy and Bess.” This grand finale brings together soprano Emily Birsan, and Broadway stars Karen Ziemba (below top) and Ron Raines (below bottom). The program features works by Gershwin, including the fascinating “I Got Rhythm Variations,” which will be played by 2012 Bolz Young Artist Competition winner, local pianist Garrick Olsen (below middle, in a photo by Chris Paskas), along with the “Catfish Row Suite” from “Porgy and Bess.” Then Leonard Bernstein steps up with the Symphonic Dances from “West Side Story,” and music by Kurt Weill, Marc Blitzstein and Stephen Sondheim — all also influenced by Gershwin — round out the season finale. It is a fitting closer since DeMain worked closely with Bernstein. As mentioned above, there is a 5 percent ticket increase. The MSO is also continuing its popular new subscriber discount of 50% off single ticket prices for subscriptions of six, seven and eight concerts. New subscriber packages start at just $56 for five concerts, including a 40% discount off single ticket prices. There is no deadline for new subscriptions; however, patrons are encouraged to order early for the best available seats. Renewing subscribers save up to 25% off the price of single tickets. The renewal deadline in May 6. In addition to subscriber discounts, unlimited ticket exchange and optional reserved subscriber parking in the Dane County Ramp, the MSO also offers an exclusive 10% discount on single tickets during Subscriber Courtesy Days, August 10-12, 2013. Subscribers can contact the MSO by calling (608) 257-3734 with questions or to be added to the mailing list. 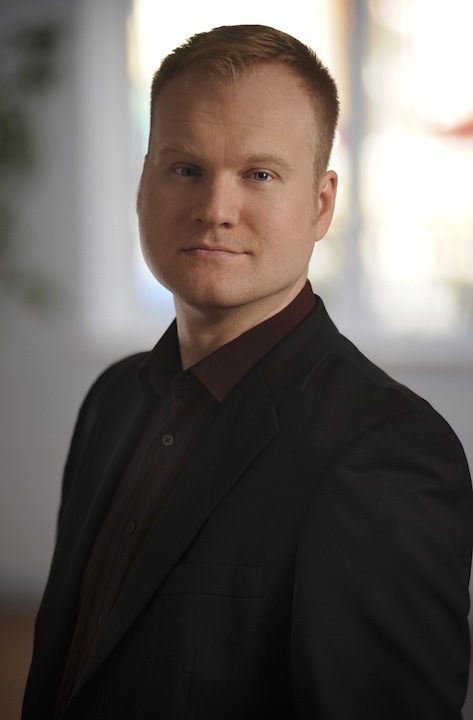 Classical music: This weekend’s concerts by the Madison Symphony Orchestra and returning violinist Henning Kraggerud offer a terrific mix of Classical-era Mozart and modernist Shostakovich. Plus, a UW-Madison horn and trombone duo, with electronics, plays a FREE concert tonight. 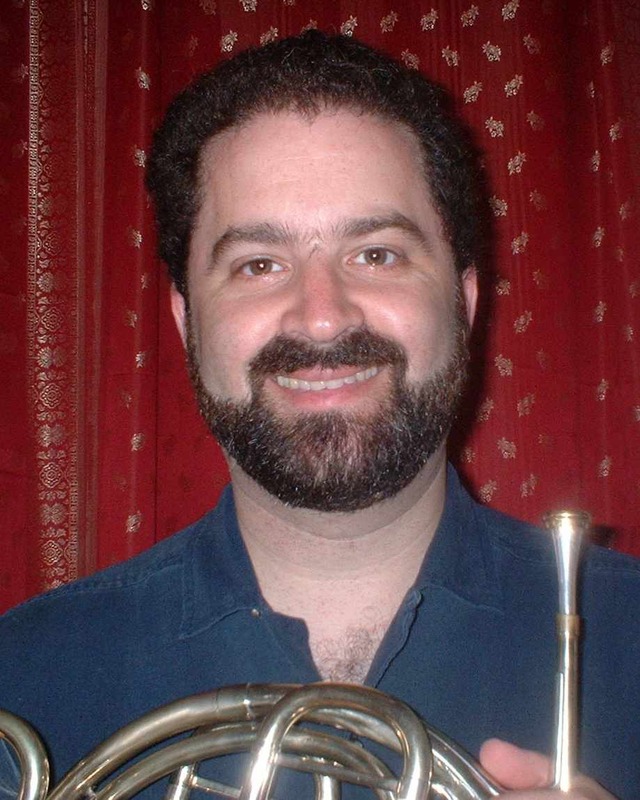 A REMINDER: Tonight, Wednesday, March 6, at 7:30 p.m. in Mills Hall, the duo “Gretzler” — made up of UW-Madison hornist Daniel Grabois (below) and UW-Madison trombonist Mark Hetzler will perform a FREE concert. The new electronica power duo combines the horn and trombone with electronics, both computer- and hardware-based. The program will feature “Volcano Songs” by Meredith Monk; “Available Forms” by Meyer Kupferman; “Videotape” by Radiohead; and “Love Meant Living” Alone by Daniel Grabois. It is exactly my kind of programming: Putting very disparate or contrasting styles side-by-side, and it often proves irresistible. The Madison Symphony Orchestra’s music director John DeMain (below) has done it before—one of the most memorable examples for me was his combining Haydn cello concerto with a massive Mahler symphony, and the last MSO concert combined Prokofiev and Beethoven. This weekend he is doing is again with the “Champagne and Vodka” program. This time, Mozart is the champagne and Shostakovich is the vodka. But you don’t even have to be a drinker to get intoxicated by this music. 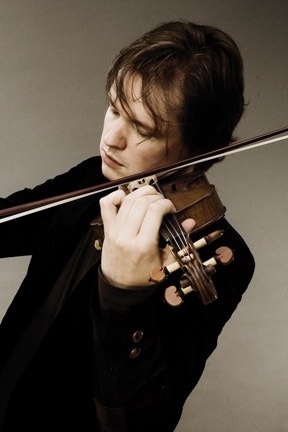 This weekend, DeMain and the Madison Symphony Orchestra (MSO) team up with the quiet but forceful Norwegian violinist Henning Kraggerud. 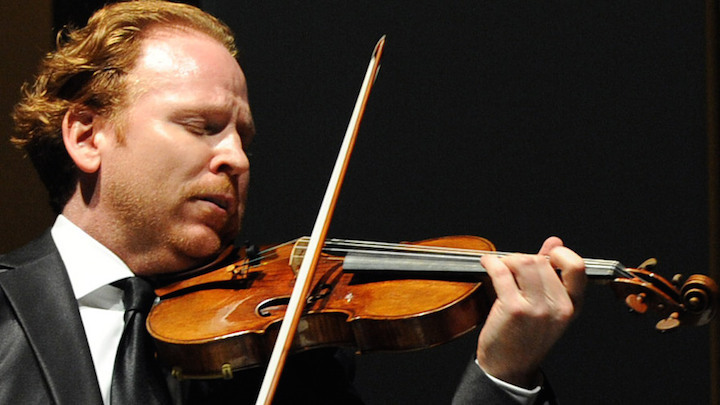 Kraggerud (below) will perform Mozart’s Violin Concerto No. 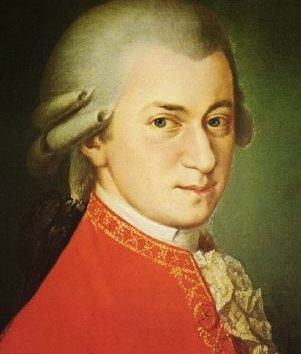 4, the most elegant of the composer’s five violin concertos – Mozart was an excellent violinist as well as keyboardist. They are all relatively early works, full of charm but less dramatic and less dark than many of Mozart’s later and more mature works. The MSO will open the concert with the lively overture to Mozart’s opera “The Impresario” and conclude with Shostakovich’s powerful Symphony No. 10. The MSO concerts will take place in Overture Hall at 201 State Street this Friday at 7:30 p.m.; Saturday at 8 p.m.; and Sunday at 2:30 p.m.
Tickets cost $16.50 to $78.50, and are available at www.madisonsymphony.org and through the Overture Center Box Office at 201 State Street, (608) 258-4141. Groups of 15 or more save 25 percent. Seniors and students save 20 percent, and the MSO’s $10 Student Rush is good for best available seats on the day of the concert. Discounted seats are subject to availability and discounts may not be combined. 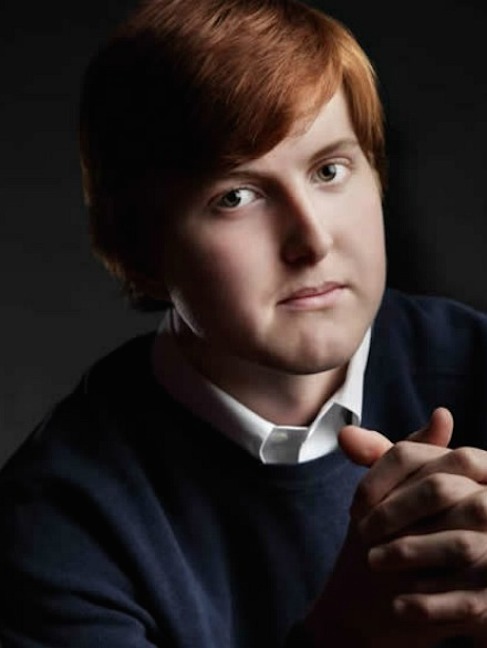 Allsen (below) will also be giving the free pre-concert talks. All five of violin concertos by Mozart (below) were written in 1775 when the composer was a teenager. Though they are youthful works, the violin concertos are also worldly, showing the influence of Mozart’s having traveled through much of Europe as a child prodigy, absorbing ideas and influences. The overture that opens the concert is light and comic, an apt introduction. By contrast, the Shostakovich symphony that closes the March concerts is a late work and was first performed after the death of the ruthless Soviet dictator Josef Stalin, who had threatened the composer many times, in 1953. The Symphony No. 10 is in many ways the reaction of Shostakovich (below) to Stalin’s death as the tight artistic controls of the 1930s and ‘40s were relaxed. It represents a new beginning, pouring forth all that had been repressed under the dictator’s oppression. Anyone wishing to share dining and conversation with other music lovers can join Club 501 before any Saturday or Sunday performance. Hosted by members of the Madison Symphony Orchestra League, Club 501 welcomes everyone to the Madison Concourse Hotel’s Dayton Street Grille on concert Saturdays at 6 p.m. and concert Sundays at 12:30 p.m. Participants receive a generous 20% meal discount and free parking with a validated underground parking ticket. Guests should ask for the Club 501 tables when arriving. Reservations are welcome — but not necessary — at (608) 294-3068.